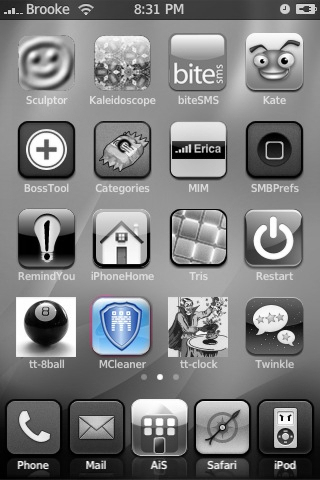 MCleaner is an application that allows you to filter your Calls and Text Messages (similar to Pysl and iBlacklist). 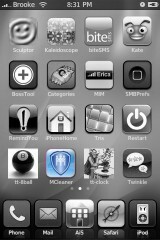 I am using MCleaner via the iSpazio source. Like all call/text filtering applications, be sure to turn your iPhone all the way off and then back on after you install it. 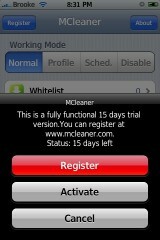 The first time you open MCleaner, you will get a pop-up with the options; Register, Activate and Cancel. To use the application for the 15 day trial, select the Cancel option. It costs $19.00 USD to purchase the full version of the application. Once you have made your selection, it will bring you to the main screen. Here you will see a few options. First, we are going to look at the options down the middle of the screen which include; Whitelist, Blacklist, My Logs, Profiles, Scheduler and Settings. The Whitelist contains the numbers that you would like to allow through and the Blacklist contains the numbers that you would like to block. So, lets walk through how to use this application.